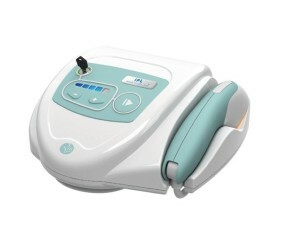 To remove hair permanently, the Intense Pulsed Light or IPL hair removal technique is the cheapest, and also the most accessible and the fastest. 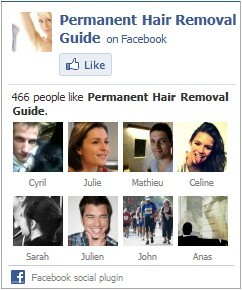 However, it does not remove all hair and there are risks to be aware of. Before making an appointment with your beauty center, make sure you have read the instructions below. IPL is a technology aimed at producing light of high intensity during a very short period of time. It is a method of hair removal from the face and the body most commonly employed by medical practitioners and aestheticians. It involves the use of a specially constructed xenon flash lamp and focusing optics. IPL uses specific wavelengths of light that are the optimum for absorption by the melanin pigmentation in hair yet at the same time minimising the trauma to the skin. IPL differs from laser by being able to deliver greater energies at optimum wavelengths while causing less damage to the skin. It is even said to be safe for dark skinned people. Is IPL Hair Removal the Right Treatment for me? IPL works mainly on dark hair and fair skin. Black skin, dull and gray hair blond or red hair are prescribed. However, the emission spectrum of the light being wider than that of the laser (several wavelengths vs. one for the laser), this technique can handle a wider range of patients. The pulsed light hair removal is most effective on the underarms and bikini. Who can Help me with IPL Hair Removal? Intense pulsed light hair removal is not a medical procedure, it can be done in beauty salons, beauty centers or in a doctor’s office. Several sessions are necessary, generally 4-8 sessions. They should not interfere 2-3 weeks before sun exposure. How Much does IPL Hair Removal Cost? It takes from $50 to $350 per session depending on the area to be depilated. Also, prices vary from a practitioner to another so make sure to ask for a quotation prior to signing with one. What are the IPL Hair Removal Recovery and Risks? This technique should be used with great caution on the pigmented skin, dark or tanned. The pulsed light hair removal is frankly against-indicated for pregnant women, children, people with diabetes or a blood disorder, as well as for people taking blood thinners, antibiotics or other photo-sensitizing drugs.